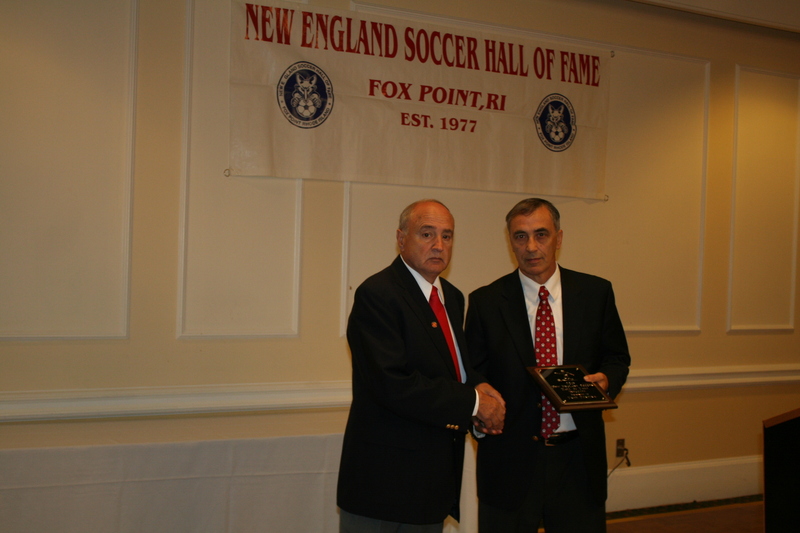 PROVIDENCE, R.I. — Brothers Joao (John) DeBrito, Jr. and the late Pedro DeBrito, who both played for the United States national team, headline the list of nine inductees at the New England Soccer Hall of Fame’s 39th annual Induction Dinner on Sunday, Nov. 20, 1 p.m. at the Riviera Restaurant in East Providence. Both DeBrito brothers were First Team All-Americans (John at Southern Connecticut, Pedro at the University of Connecticut) and both led their college teams to national championships before embarking on decade-long professional playing careers. Pedro DeBrito spent most his career playing indoors, while John made his mark outdoors, playing six seasons in Major League Soccer, including the New England Revolution’s inaugural season. Longtime Boston Globe soccer writer Frank Dell’Apa, who has covered seven World Cups, will be the guest speaker. 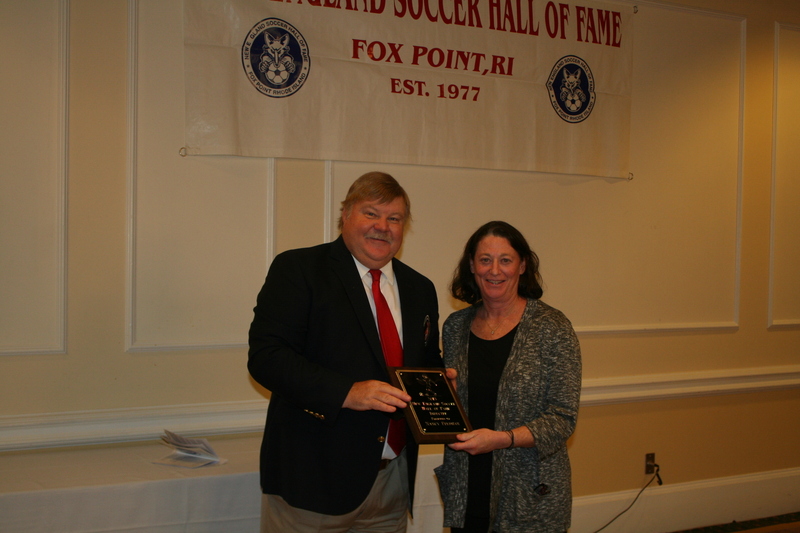 MIKE ASHWORTH – A long-time Rhode Island youth soccer volunteer, coach and administrator. He also spent a dozen years as South Kingstown’s girls soccer coach. BILL CARROLL – The boys’ soccer coach at Pilgrim High School in Warwick, RI. He has guided the Patriots to two state titles and has been a fixture in Kent Count youth soccer and summer camps. VINKO DROCIC – A standout player in the former Luso American Soccer Association, who helped to win league and cup championships with Lusitania Sports and the Lowell Soccer Club, after coming over to play from his native Croatia. RALPH FERRIGNO – The Director of the Boston Soccer Academy, he spent 20 years as the head men’s soccer coach at Tufts University, guiding the Jumbos to the 2000 ECAC championship. JOE GOMES – A high school All-American at Tolman High School in Pawtucket, RI, he went to a sterling career at the University of Rhode Island. FRANTZ INNOCENT – One of the all-time leading scorers and a First Team All-American at the University of Connecticut. He was also the men’s soccer coach for 19 years at Eastern Connecticut State University, leading the Warriors to a pair of Little East Conference championships. MICHAELLA (ROONEY) TUCKER – A high school all-state player at East Greenwich High School, sent went on to earn All-America honors at Brown University. She played women’s professional soccer for the Boston Breakers, Houston Challengers and Houston Stars, as well as being a player, captain and coach of Lady Chivas in Reno, Nevada. Tickets for the induction dinner are $38, and are available by telephoning Lillian Sousa at 401-434-6592 or by emailing soccerjbsousa@yahoo.com by the Nov. 14 deadline. All tickets must be purchased in advance; no tickets will be available at the door. Frank Dell’Apa has been one of American soccer’s preeminent journalists for four decades. He began his newspaper career in Nevada, covering the North American Soccer League in the 1970s. He was hired by the Boston Herald in 1983, then returned to regular soccer coverage as the Boston Globe’s soccer columnist, starting in 1990. After 23 years at the Globe, Dell’Apa was recruited to work for the start-up BeIn television network in Miami, and in late 2014, returned to Boston, where he is presently based as a freelance journalist. Dell’Apa has covered seven World Cups, MLS since the league started, and continues to be involved with the NASL as part of a New York Cosmos Podcast. He is a past New England Soccer Hall of Fame inductee. West Warwick’s Mike Ashworth is being inducted for his many years of volunteer service, and for his perseverance in overcoming physical and medical conditions to make a difference. Ashworth first became involved in soccer while in high school in 1973. He broke both of his legs in a skiing accident, ending any opportunity to play. As a senior, he turned to officiating and worked the home games for Toll Gate High School in 1974. After a 15 year break, he got back involved with soccer when his children started to play in the Warwick Soccer Association. He has served as a coach and an administrator since 1990, despite suffering a heart attack in 2003, having heart surgery in 2004 and a heart transplant in 2014. In 1998, he and Jim Kelly incorporated the Rhode Island Rays Soccer Club, and has been its only treasurer. He was an assistant coach for St. Mary’s Academy/Bay View from 1995-2001. He was the head coach of girls soccer at South Kingstown High School from 2001-2012. 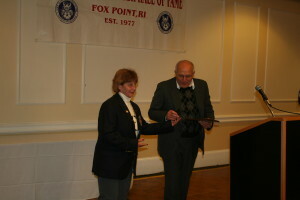 Ashworth received the Joseph Rocca Memorial Award as Soccer Rhode Island’s Volunteer of the Year in 2008. 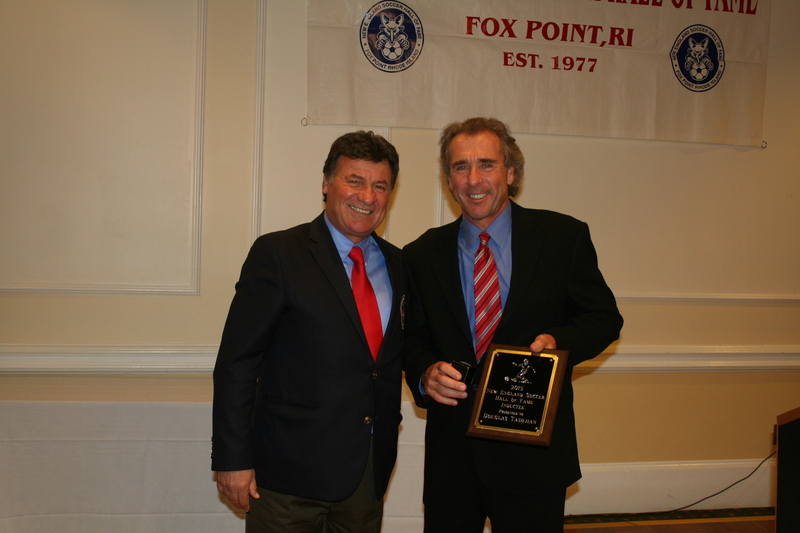 In 2013, he was inducted into the Soccer Rhode Island Hall of Fame. 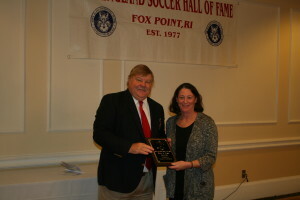 Englishman Bill Carroll has been a key figure in Ocean State soccer circles since relocating to Warwick, Rhode Island in 1985. As a youngster, Carroll was chosen to Three-Counties select teams in Elementary and Secondary Schools, playing on championship teamsin 1961 and 1966. He was selected for the Bedfordshire County U15 team and also played for Luton Schoolboys U14 team. He started his coaching career in 1970, as a player-coach for the Ashford Old Boys semipro club. From 1970 to ’85, Ashford won five league titles and four Cup trophies. 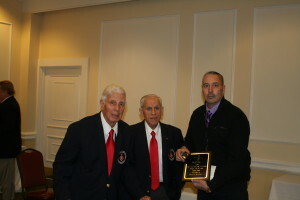 Carroll was the Coaching Director for the Warwick Fire Fighters from1987 to ’91. He has been the head boys soccer coach at Pilgrim High School since 1991, guiding the Patriots to two state titles and three runner up finishes. He has been coach of the Lady Rays Girls Premier League Team, with four undefeated seasons, five state championships and titles at the Potomac Tournament and the Jefferson Cup in Virginia. Carroll has also been head coach of the Lady Rays Women’s Semi-Pro League team, co-founder of the Mid-State United Boys Premier Club and joint director of the Kent County Soccer School since 1993. John DeBrito experienced success at every level during his long playing career. Originally from Cape Verde, he became one of Connecticut’s all-time leading scholastic scorers for Kaynor Tech in Waterbury. He was a standout player at Southern Connecticut State University, leading the Owls to the NCAA Division II championship in 1989, scoring both of his team’s goals in the final. He was a First Team All-American in 1990, after twice being chosen to the Second Team. He scored 20 goals and added 32 assists during his four years as an Owl. He spent his 10 year professional career as a defender and defensive midfield. His first pro experience came indoors with the Tulsa Ambush. He spent the vast majority of his career playing outdoors. He played for Gremio Lusitano, Boston Storm (USISL) and the New York Fever (A-League) before being selected in the 11th Round of the inaugural Major League Soccer draft by the New England Revolution in 1996. He played six seasons in the MLS, with the Revolution, New York/New Jersey MetroStars, Kansas City Wizards, Columbus Crew and Dallas Burn before finishing his pro career back home in 2001 with the Connecticut Wolves. DeBrito earned six U.S. National Team caps from 1991 to ’92. He was inducted into the Connecticut Soccer Hall of Fame in 2006. The older brother of fellow enshrinee John DeBrito, Pedro is being posthumously inducted. He was critically injured in an automobile accident in 2014, and passed away at the age of 55. He had an 11-year professional career, taking him through multiple U.S. Leagues, including the North American Soccer League, Major Indoor Soccer League, American Soccer League and the National Professional Soccer League. He scored 100 goals in his professional career, all but four indoors. Outdoors, he played for the Tampa Bay Rowdies, New York Cosmos and Albany Capitals. Indoors, his clubs included the Rowdies, Cosmos, Dallas Sidekicks, Wichita Wings and Detroit Rockers. He earned one U.S. National Team cap in a 2-0 win over Haiti in 1983. DeBrito, from Cape Verde, moved with his family to Portugal at the age of 9, and to the U.S. When he was 15. He was a First Team All-American forward at the University of Connecticut, helping the Huskies win the NCAA championship in 1981. He scored 43 goals and added a school-record 59 assists during his four years in Storrs. He was inducted into the Connecticut Soccer Hall of Fame in 2000. A native of Donji Lipovac, Croatia, Vinko Drocic emigrated to the United States in 1987. Drocic played in semi-pro soccer in Croatia from 1983-87. He was a standout player in LASA (fomer Luso American Soccer Association), playing for league and cup champions while at Lusitania Sports (1987-89) and the Lowell Soccer Club (1990-91). He returned to Lusitania, where he played from1992-96. 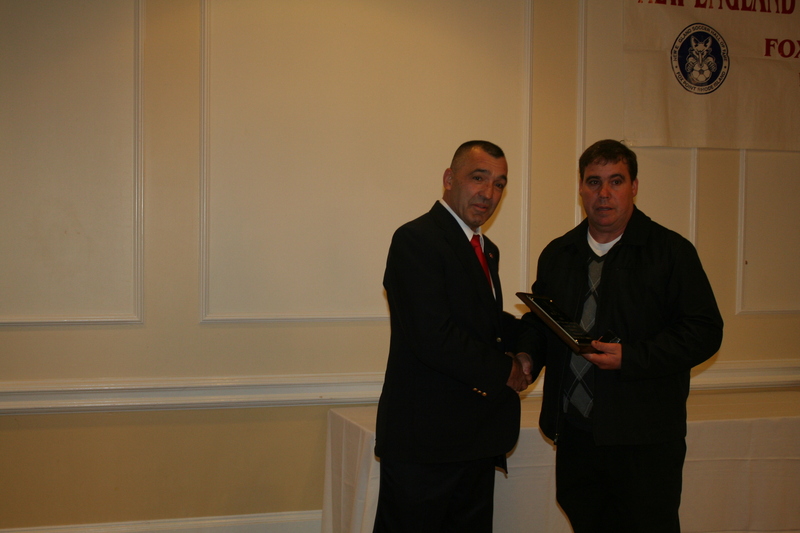 He also played for Cranston in LASA, and Madeira Club in the Over-40 League. He has been a coach in the Cumberland and the Lincoln youth soccer associations, as well as for the Rhode Island Soccer Club. A native of Liverpool, England, Ralph Ferrigno has made an indelible mark on soccer on the North Shore of Massachusetts. Currently the Director of Coaching for the Boston Soccer Academy, Ferrigno was the head men’s soccer coach at Tufts University, with a 161-118-26 record over 20 seasons from 1990 to 2009. He led the Jumbos to two NCAA Tournament berths in 1994 and ’96, six ECAC Tournaments and the 2000 ECAC championship. He is a USSF ‘A’ licensed coach, also with coaches badges from the English FA and the Welsh FA. He is also a qualified referee in the U.S. and England. He has coached club soccer since 1986, with the Upper Valley Lightning (NH), FC Greater Boston Bolts and AFC Boston Lightning, with five state titles and seven MAPLE championships. Ferrigno was also an ODP staff coach from 1986 to 2007, with numerous age groups with both boys and girls. Joe Gomes is one of the most highly decorated player at the high school level in Rhode Island. He was a four-time all-star, two-time all-state selection and a high school All-American for Tolman High School in Pawtucket from 1982-86. He earned a scholarship to the University of Rhode Island. Gomes went on to play for Lusitania Sports in LASA (1986-91), Estoril in the Portuguese First Division (1991-92) and the Rhode Island Stingrays (1995-97). He plays for Madeira in the 40 & Over league. Gomes has been a physical education and health teacher in Woonsocket since 1992. Born in Haiti and raised in Nyack, NY, Frantz Innocent is one of the greatest players in the annals of the University of Connecticut men’s soccer program. Innocent was a First Team All-American in 1974 and a Second Team All-American in 1973. He was also a three-time All-New England, three-time All-North East and two-time All-Yankee Conference selection. Innocent was Uconn’s all-time leading scorer when he graduated with 32 goals and 25 assists for 89 career points. That total current ranks 10th on the Huskies all-time scoring list. He still holds the school record for points in a game with nine, from a 4-goal, 1-assist performance against Hofstra in 1972. Innocent was Uconn’s first participant in the Senior, the recipient of the first two Dr. John Squires Awards as team MVP and was Uconn’s Outstanding Senior Male Athlete in 1974. He played professionally in the American Soccer League for the Connecticut Yankees and the New England Oceaneers, and was a Second Round draft pick of the NASL’s Dallas Tornadoes. He continued to be a key player on several Connecticut Soccer League championship teams. Innocent began his coaching career in 1976 as head girls’ coach at E.O. Smith High School in Storrs. He later served as head coach of the University of Connecticut women’s soccer club team in 1978 and assistant coach with the Central Connecticut State University men’s team between 1982 and 1984. Innocent joined the Eastern Connecticut staff after five seasons (1985-1989) as assistant women’s coach at his alma mater. Innocent was the head coach of men’s soccer at EConn for 17 seasons from 1990 to 2006, compiling a record of 126-171-28. The Warriors were Little East Conference champions in 1991 and ’92. And East Hartford resident, his son, Frantz Innocent Jr., is following in his father’s footsteps as a member of the current Uconn men’s soccer team. Step by step, Michaella Rooney has taken a most impressive path in soccer. She began playing youth soccer in East Greenwich and for the Rhode Island ODP team. She was a member of the Boston Breakers club team that was the national U19 runnerup in 1997. She was a four-year starter, captain, all-star, all-state and all-New England player at East Greenwich High School. After redshirting a season following ACL surgery, Michaella Rooney was a four-year starter and captain for Brown University’s women’s soccer team. While playing for the Bears, she earned all-Ivy, all-New England, all-Northeast, all-American regional and All-American national teams. She was a player-coach for the Rhode Island Rays women’s team in the USL’s W-League, and in 2001-02 played for the Boston Breakers in the WUSA. She played for the Houston Challengers of the WUSA and acted as a player-coach for the Houston Stars of the WPSL. For the past three years she has been a player, captain and coach for Lady Chivas in the Reno Women’s Soccer League. Now Mrs. Michaella Tucker, she resides in Reno, Nevada. 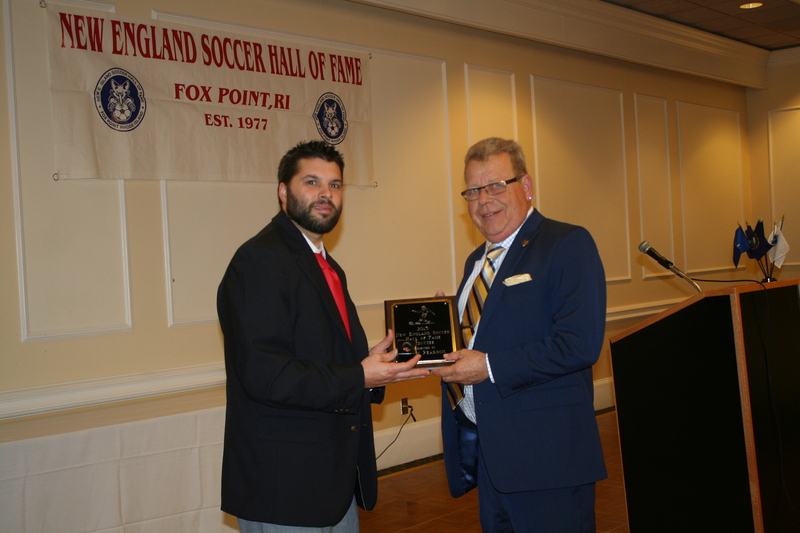 The 2016 New England Soccer Hall Of Fame Banquet will be held November 20 at 1PM at the Riviera Restaurant in East Providence, RI. No tickets will be sold at banquet. You are currently browsing the New England Soccer Hall of Fame blog archives.